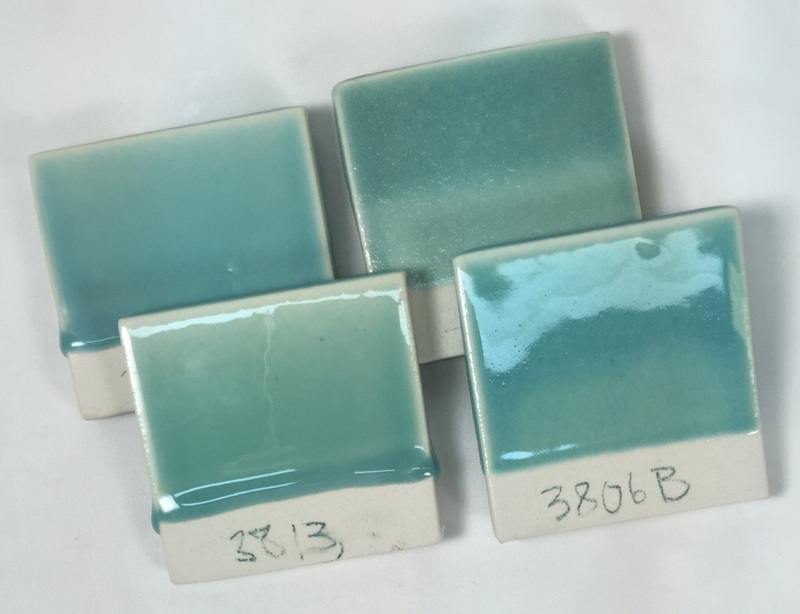 -Under normal oxidizing conditions the CuO molecule remains unchanged and produces clear green colors in oxidation glazes. The shade of copper greens can vary with firing rate and soaking changes. The best colors are generally obtained with fast firing and little soaking. CaO is unlikely to affect the color of copper in a glaze. -Copper is well-known for its ability to produce blood-red and fire-red colors in reduction atmosphere firings where it is altered to Cu2O (see Cu2O). Purple copper reduction glazes are the result of a mixture of copper in its green oxidized and red reduced forms. This effect appears most frequently in high lime glazes or where early stages of firing are oxidizing or latter stages are light or neutral. 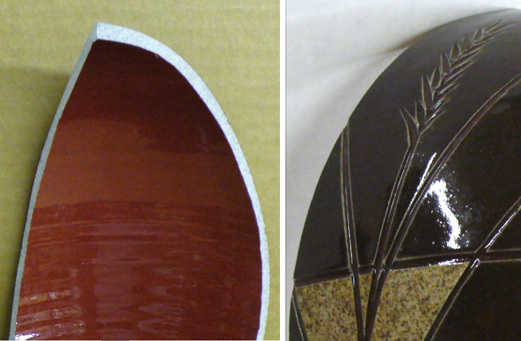 -Copper is a strong flux and even 2% can considerably increase the melt fluidity of a glaze. -Generally additions of copper to a glaze will reduce its thermal expansion. That means that the base clear might craze, yet the version with significant copper added will not. -Copper and titanium can produce beautiful blotching and specking effects. 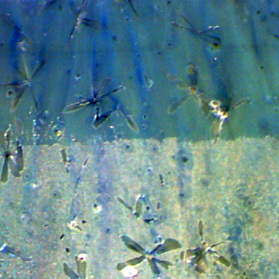 -Pure copper metal filings can make an extremely potent specking material (and contaminant, depending on your viewpoint) in reduction firing for both bodies and glazes. -Leaching: When added to low lead solubility glazes copper can cause the solubility of the lead to be greatly increased. Copper is well known for this effect in glazes at other temperatures also. Do a leaching test to be sure. 7% copper in glossy oxidation glazes can produce striking metallic green colors. 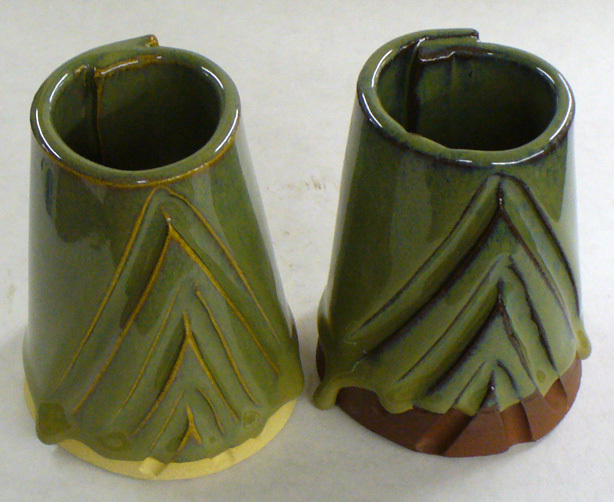 Under normal oxidizing conditions CuO produces clear green colors in most glazes. The shade of green depends not only on the amount but also on other oxides present (i.e. 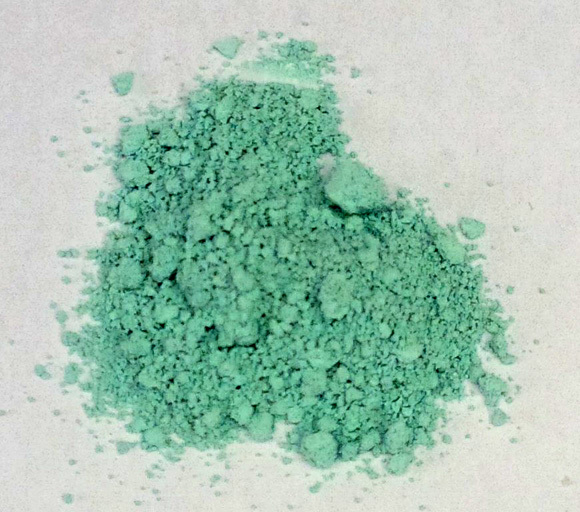 lead in larger amounts will enhance and darken the green, the presence of alkalies or high boron will shift it toward blue). 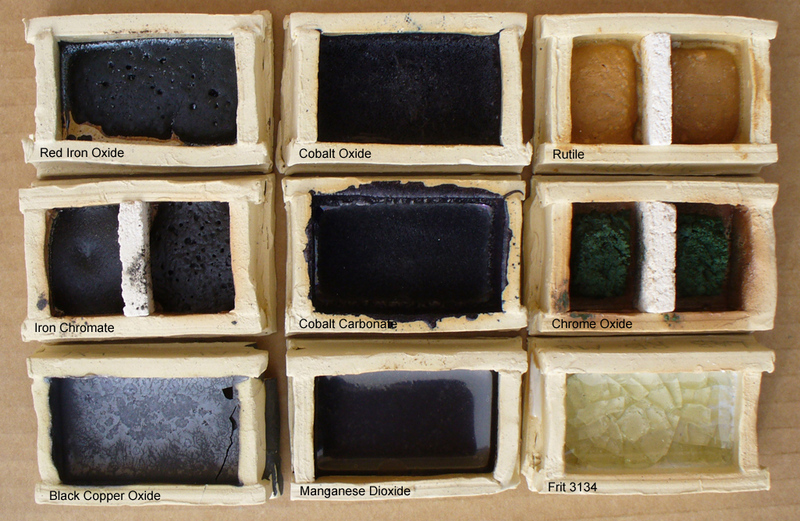 Combinations of CuO with tin or zircon will give turquoise or blue-greens when the glaze is alkaline (KNaO) and low alumina. Look for a frit with this profile for best results. Glazes of this type often craze. K2O can turn a copper glaze yellowish. If Na2O or PbO are present, K2O should not exceed 0.15 equivalent.